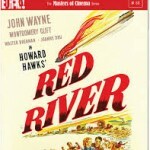 Now In 1080 high definition this is a beautiful remastering of a classic Howard Hawks, (Rio Bravo) Western. Thomas Dunson, (John Wayne, True Grit) has a dream to start a ranch out there, somewhere in Texas. 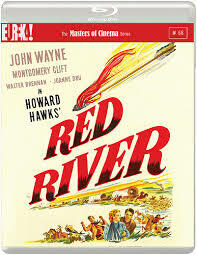 After leaving the wagon train Dunson and his trusty sidekick Nadine Groot, (Walter Brennan, Rio Bravo) head across country looking for the spot to start a new life , when they spot fire from the wagons they left. A while later they spot a half crazed boy with his young calf Matt Garth, (Mickey Kuhn, A Streetcar Named Desire) Dunson takes in the boy after giving him a few lessons in life.